Why are we able to recognize melodies before we are born? Why does making music actually switch off the genes that signal stress? It is because music is part of who we are at the deepest level-and we don't need any special talent or training to harness its power to enhance our lives. 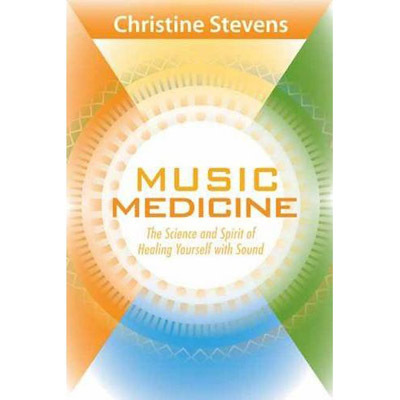 With Music Medicine, music therapist Christine Stevens presents an information-packed resource, filled with scientifically based practices for accessing and attuning to the natural healing properties of music. Drawing from a wealth of research and her own pioneering healing work in some of the most challenging places around the world, Stevens invites readers to discover: . Accessing the four elements of music-rhythm as medicine for the body, melody for the heart, harmony for the soul, and silence for the mind . Why making music accelerates our ability to heal and change . Healing playlists-each chapter features valuable download recommendations and links for selecting healing music . The drum massage, creating your power song, full-body listening, and other effective and enjoyable practices "Music," teaches Christine Stevens, "can do so much more than entertain us." With Music Medicine, she provides a thoroughly researched, accessible, and practical guide for therapists, healing practitioners, musicians-and anyone interested in music for health and spiritual growth.